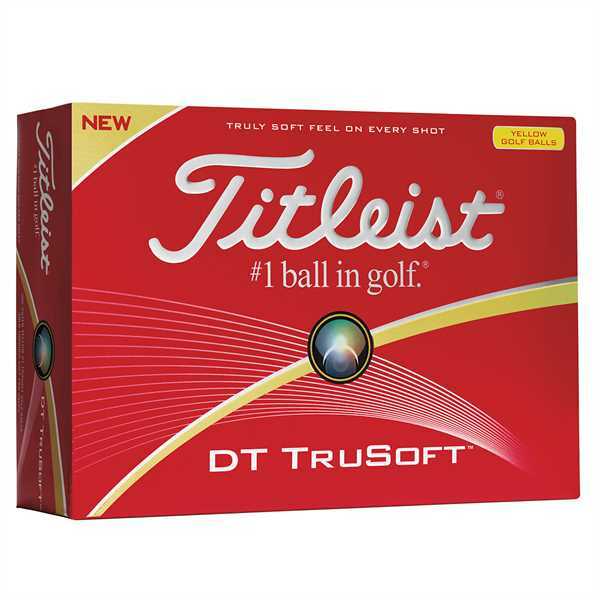 Titleist® DT TruSoft Yellow Golf Balls. Yellow color promotes visual perception. Distinctively soft compression feel with long distance. Responsive short game performance with unique soft feel and sound on every shot. Long game for long distance and reliable short game spin. 7-1/2"w x 5-1/4"h x 1-3/4"d.
Size: 1 3/4 " x 7 1/2 " x 5 1/4 "